As news filters through that The European Club will host next year's AIG Close Championship, from 4 - 8 August, the GUI have also confirmed the host venues for the four years after that with the date change set to benefit players. 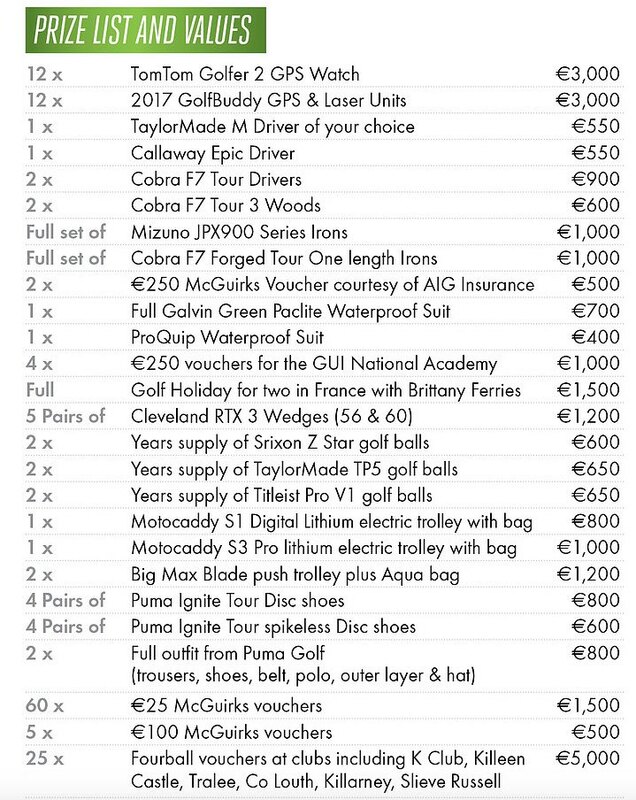 All this while the 2017 Championship plays on in a wet and windy Galway Golf Club. 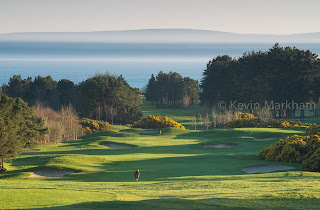 The other four courses are Ballybunion, Rosapenna, Malone and Headfort. 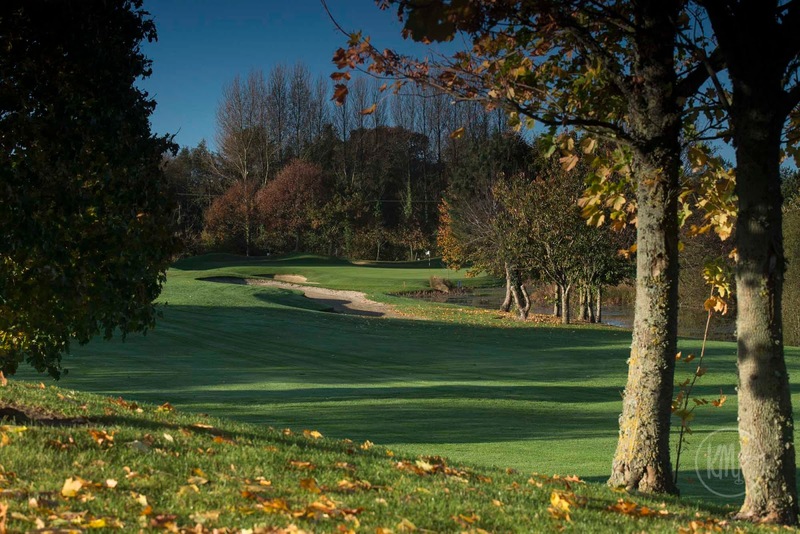 A new date for the blue riband event in Irish domestic golf means the championship is more accessible than ever before for Ireland’s leading amateurs. Scheduled to commence on the Saturday of the Republic of Ireland’s August Bank Holiday for the foreseeable future, the date change will see the Close take place after the South of Ireland and before the Home Internationals which are scheduled to move into September. Ballybunion (2019), Rosapenna (Sandy Hills - 2020), Malone (2021) and Headfort (New – 2022) are the host venues for the coming years. 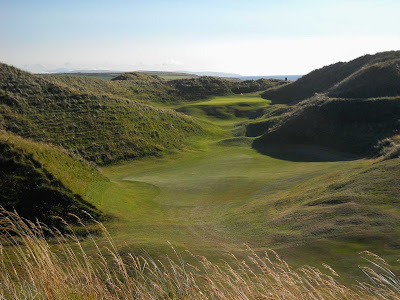 Rosapenna (Sandy Hills) is a stern links test. Malone is Northern Ireland's most vibrant parkland. 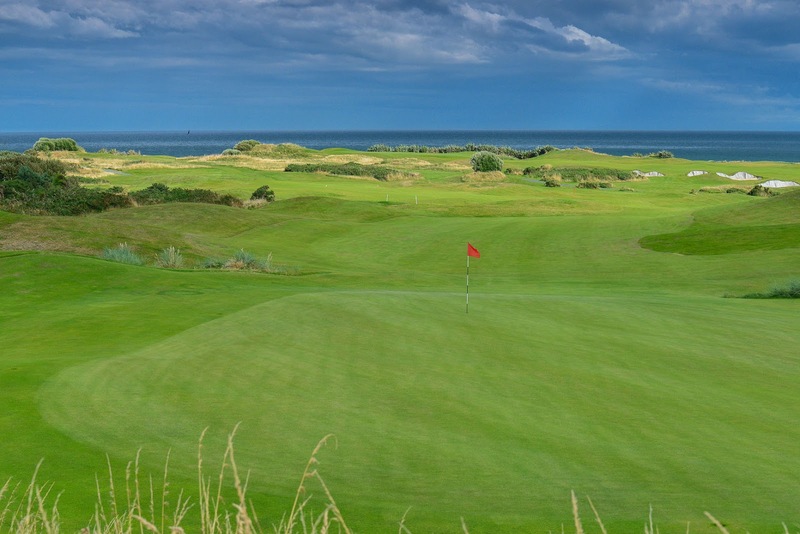 “We’re hopeful that the new date will help our leading amateur players, many of whom are career amateurs with jobs and young families, to continue supporting what is our leading domestic championship. 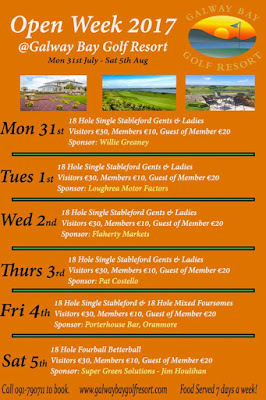 The date change required the GUI to liaise with Mullingar Golf Club in relation to their Scratch Trophy which has occupied the bank holiday weekend for the past number of years. “We very much value the engagement and positive response from Mullingar in relation to the date change of the Close” Wehrly said. 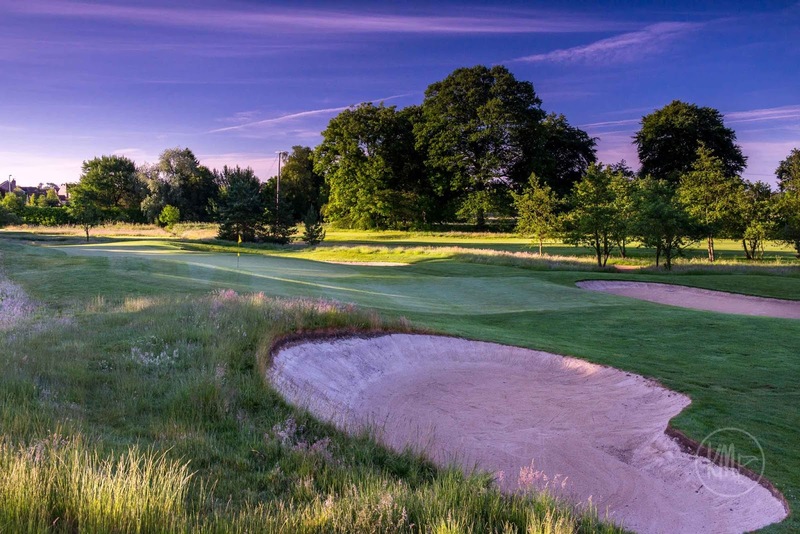 “The club have recognised the significance of this change for the Irish Close and have been more than accommodating in agreeing to move their Scratch Trophy dates”. The last time The European Club staged the Close in 2006, Rory McIlroy won the second of his back to back Close titles. Speaking after his victory in 2006 McIlroy said: "This is probably the best links course I have ever played. It’s just the definition to it with the sleepers in the bunkers. It is totally unbelievable. 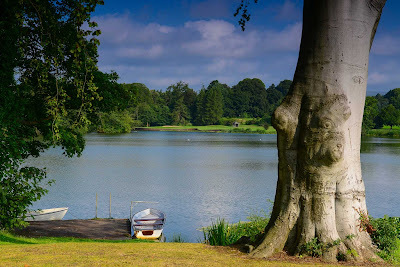 I love courses where you really have to think your way around. It gets me focused much more." 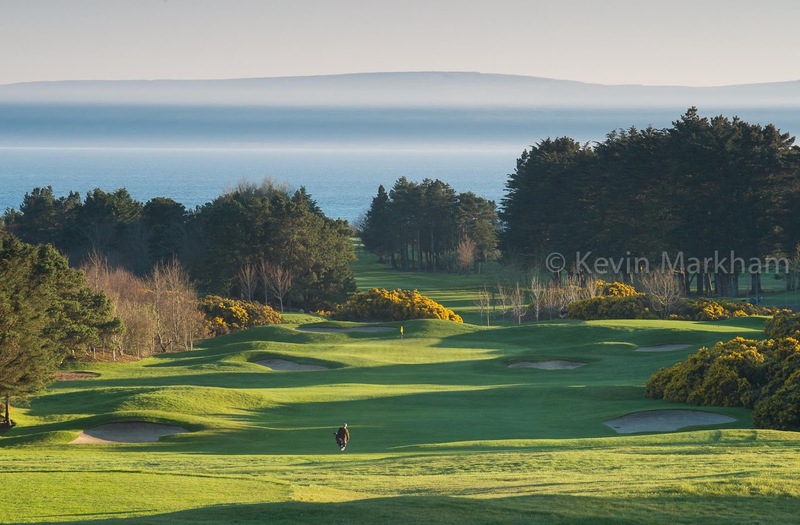 Regularly ranked as one of the world’s leading links courses, the County Wicklow links was established in 1987. 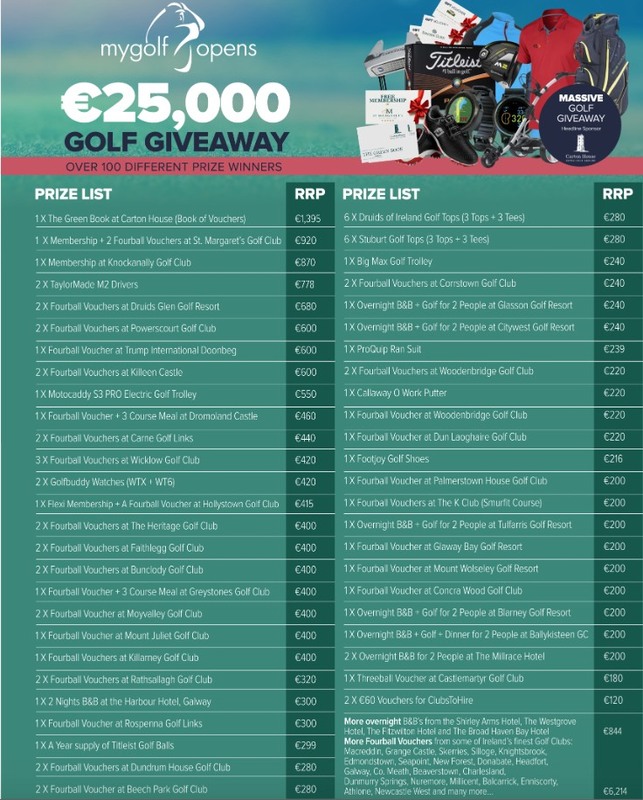 There are always going to be great golf packages put together for golfers, whether they are coming to Ireland... or living here. 'Western Wonders' from Fairways & Fundays doesn't discriminate! 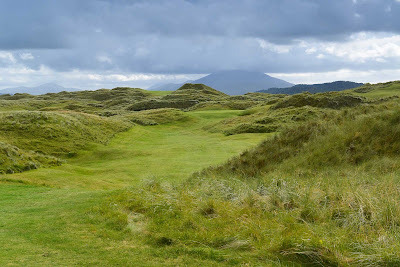 If you want to play three exceptional coastline courses - including my all-time favourite - and stay for four nights in four star accommodation on Ireland's stunning Wild Atlantic Way, then this is a package that's as good as it gets. There are a couple of big giveaways by Irish golf companies at the moment... just in case anyone is interested. 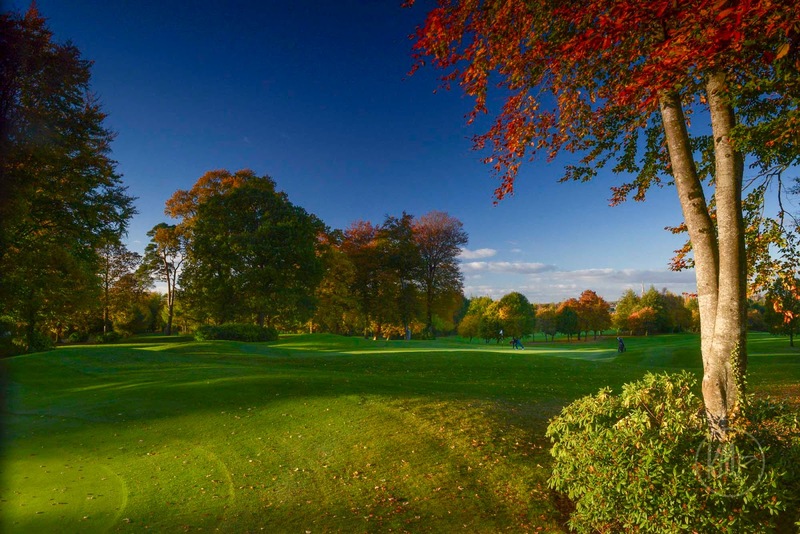 The NIOpen starts in earnest tomorrow and Galgorm Castle Golf Club is in fine, fine shape. The club/management have been working hard to keep things 'fresh' on the course and there is now a lot more rough hugging bunkers, with the fescue adding hugely to the colour (and dangers) of the holes. A new wall has been added to the front of the par 7th green - see photo above - which has given it a far sterner and classier appearance. 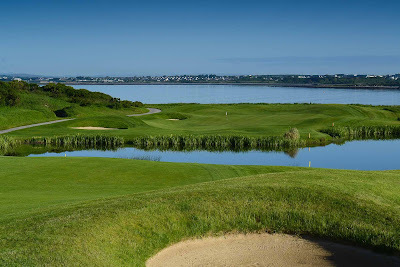 On Sunday, 30th July, top Senior and Junior golfers battled it out in testing conditions on the superb Galway Bay championship golf course. 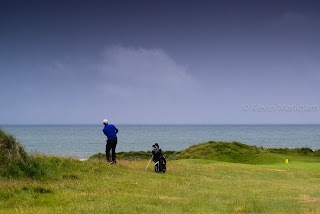 The Senior Scratch Cup was played over 36 holes and, after Round 1, local favourite Eddie McCormack and Galway’s Joe Lyons couldn’t be separated with an opening round of 70. Playing off the Blue Championship tees (7,300 yards) in the afternoon, some great golf saw Joe Lyons pip Eddie McCormack and Ronan Mullarney to take the inaugural Galway Bay Senior Scratch Cup, sponsored by Pat Power. Pat Power, with Head Pro Dara Ford alongside. 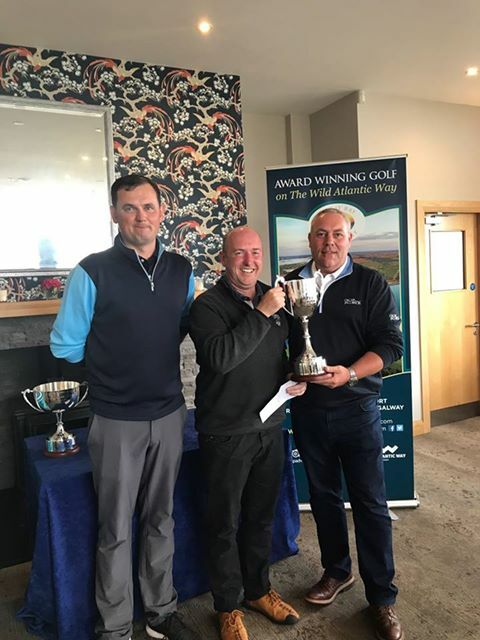 In the Junior Scratch Cup played over 18 holes, Portumna’s Eamon Dervan secured the Cup with a 76, followed by John Bodkin with a 77 and local Marcus Brennan in 3rd with a 77. 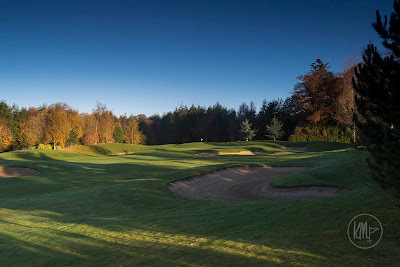 Approach to the 12th hole. 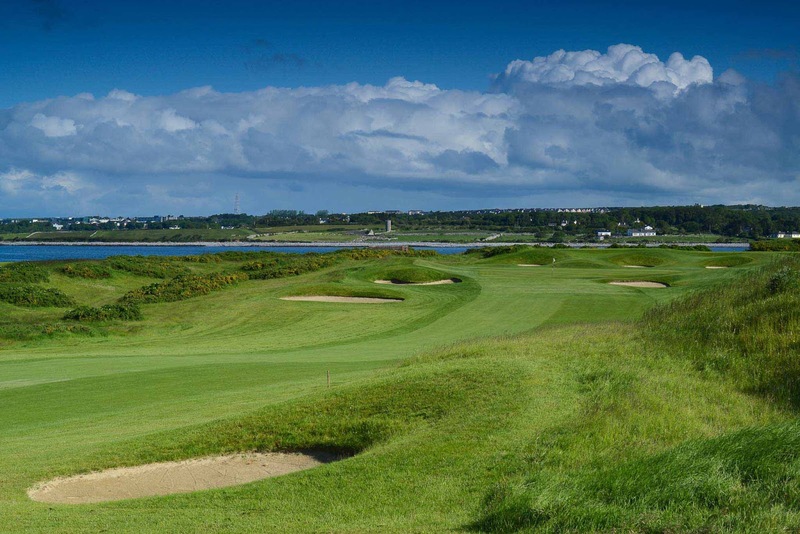 The course is in great condition and was a good practice opportunity for the county’s top golfers to test themselves at Galway Bay before the Connacht Finals, which will be held on the course mid-August. 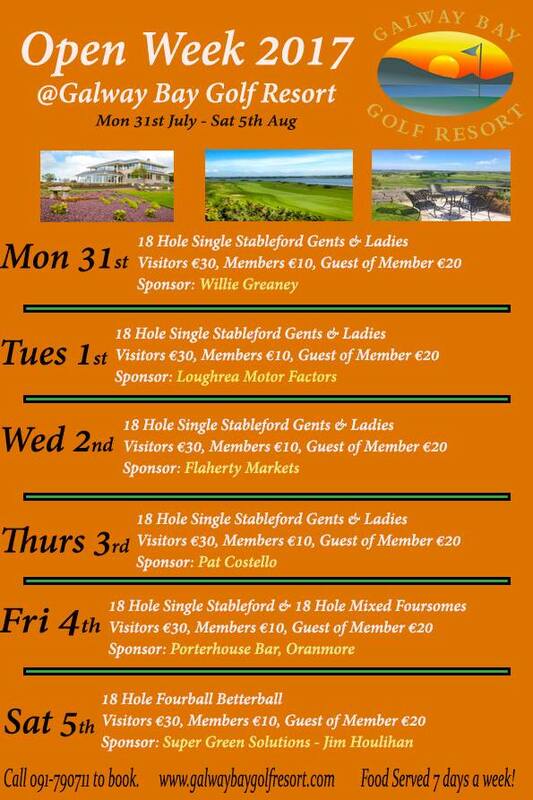 This week is Open Week (see below), which will no doubt see added traffic during Galway’s busiest week of the year. 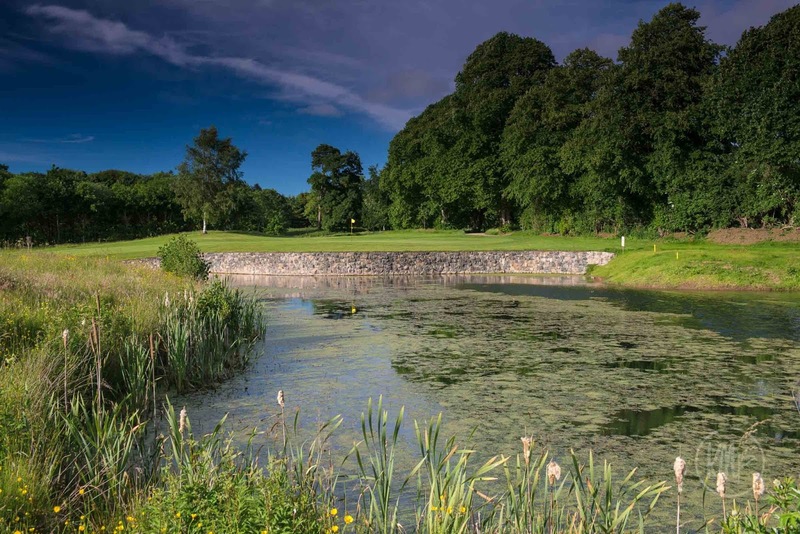 Another of Ireland's big golfing parklands is hosting a back tees event, and this one's on this coming Saturday, 5th August. Apologies for the late notice. 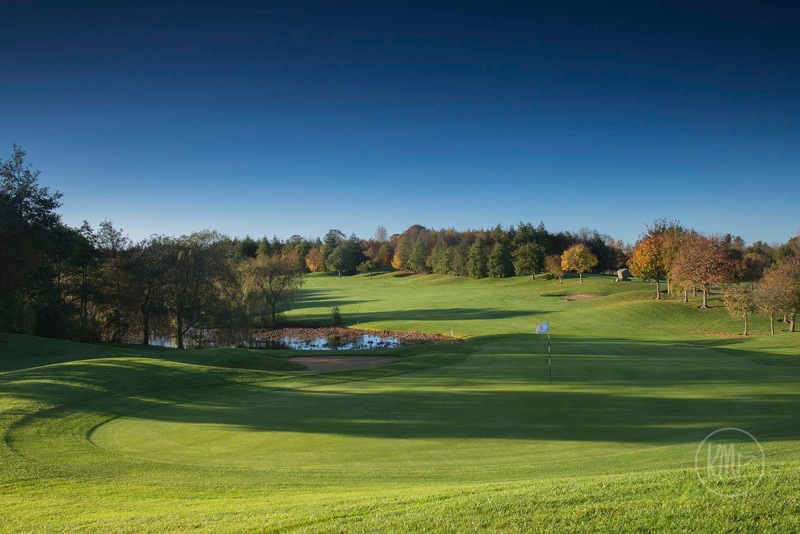 Mount Wolseley, in Tullow, Co. Carlow, will be hosting the competition which will play over its full par 72 of 7,134 yards. 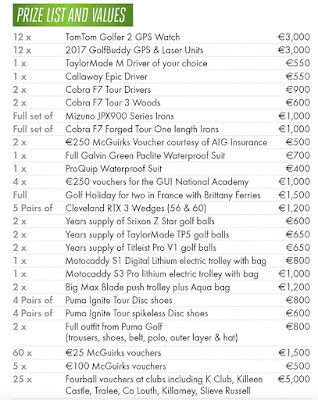 The price of entry is a mere €25. 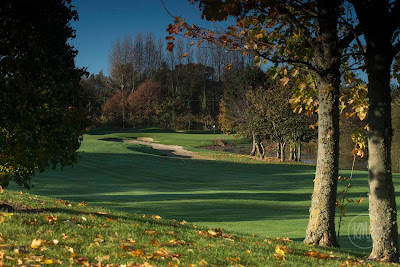 This is a Christy O'Connor Junior course and it is big... with a fast, furious and tough start. 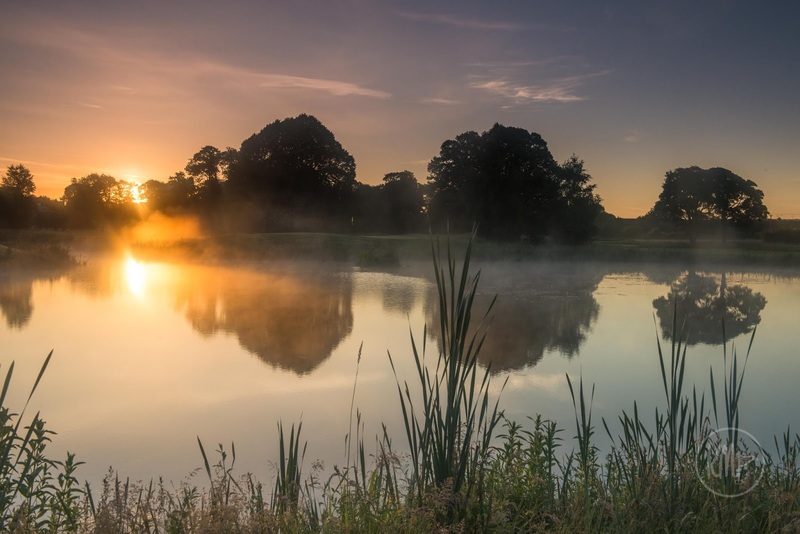 Get through the opening three holes (Indices 5, 3 and 1, respectively) and you have a chance, but don't be surprised to find a double bogey sneaking onto your card before reaching the water-laden 4th. 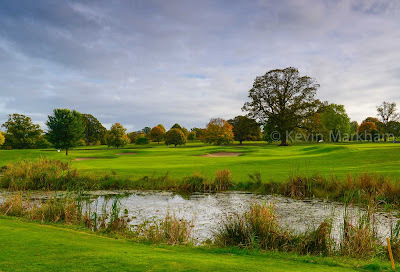 The par four 4th at Mount Wolseley. Approach to the 420 yard par four 8th.